Do not toss it out the window! Just call for help, but who to call? 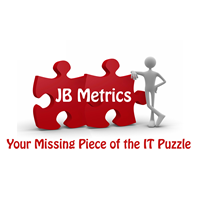 If it is a software or networking issue, we recommend calling JBMetrics. That is who we call and have not regretted it in over a decade. Only charges for the work done and guarantees that you will be satisfied. Can help remotely, no expensive visits needed. JB Metrics can, with your permission, link directly to your computer. Windows; Mac, Linux...JB Metrics handles them all. Better yet, we have negotiated a great deal for our e-Agent clients. We will cover $70 of your first support call, thus you will only be billed for $30!!! After your first call, JB Metrics charges only $50/half hour segment. Just make no mistake, JB Metrics is not just another geek with a phone. This Christchurch-based firm has worked for major private sector firms in the U.S., Austrailia and of course New Zealand. JB Metrics is our "Go To Problem Solver and should be yours. Just pay for your first help session and expect a call within two business hours.